It is no secret that smartphones are perhaps our greatest companion. We use them for everything, and while they are incredibly valuable, not just for entertainment, but as a business tool, they’re also the gateway to social media. With multiple platforms on every device, it’s no surprise that many of us are finding it harder and harder to keep ourselves away from the constant affirmation and updates of our social media accounts. Here are 5 signs you’re addicted to social media. Breakfast is no longer the first thing on our minds when we wake up in the morning. Now, we open our eyes, reach for our phones and check our social media accounts. If your morning routine includes checking your Instagram feed, updating your Facebook status or tweeting about world events, you just might be addicted. The solution? Give yourself a one hour ban of social media in the morning. Get up, enjoy breakfast, talk to your family and make it out the door without liking a post or using a hashtag. Best friend’s birthday? Instead of taking them out for dinner and dropping around a gift, now you just give them a shoutout on Instagram or send them a Facebook message. If you interact with your friends more on social media than actually spending time with them in real life, you may be addicted to social media. Next time you feel like giving your friend a shout out or well wishes via social media, call them instead and invite them out for a coffee. Have you ever accidentally left your phone at home? Did you think about it all day at work? Did you wonder who had texted you, tweeted you, liked your post or sent you a direct message? If the answer is yes, you are most likely addicted to your phone and the affirmation it brings. Social media can be a huge distraction, not just when you are using it but when you are thinking about using it. The solution for this is easy. Leave your phone at home more often. These days, it is not uncommon for people to use social media, not just for pleasure, but for work purposes. You may manage social media accounts at work or for your own side hustle or small business. However, if you spend hours of the day mindlessly scrolling through social media, not for work, but simply as a distraction or time-waster, you may be addicted. Every time you reach for your phone to check your social media, put a timer on, and over the course of the day, calculate how much time you are actually spend on social media without purpose. Does social media negatively affect your mood? Whether it’s a rude comment, a declined Facebook invite or a thumbs down on your YouTube video, social media can have a huge impact on our self-esteem and self-worth. 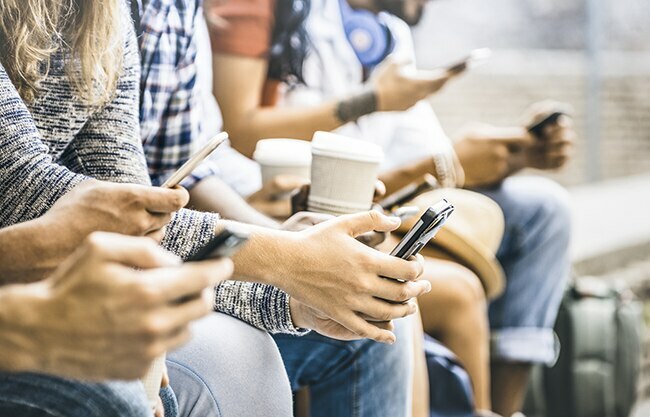 From online arguments to feelings of jealousy and frustration, social media can be a poor substitute for real life connections. Instead of mindlessly scrolling through near-perfect feeds on Instagram or engaging in a battle of words on Twitter, put your smartphone away, go outside and spend time with friends and family.